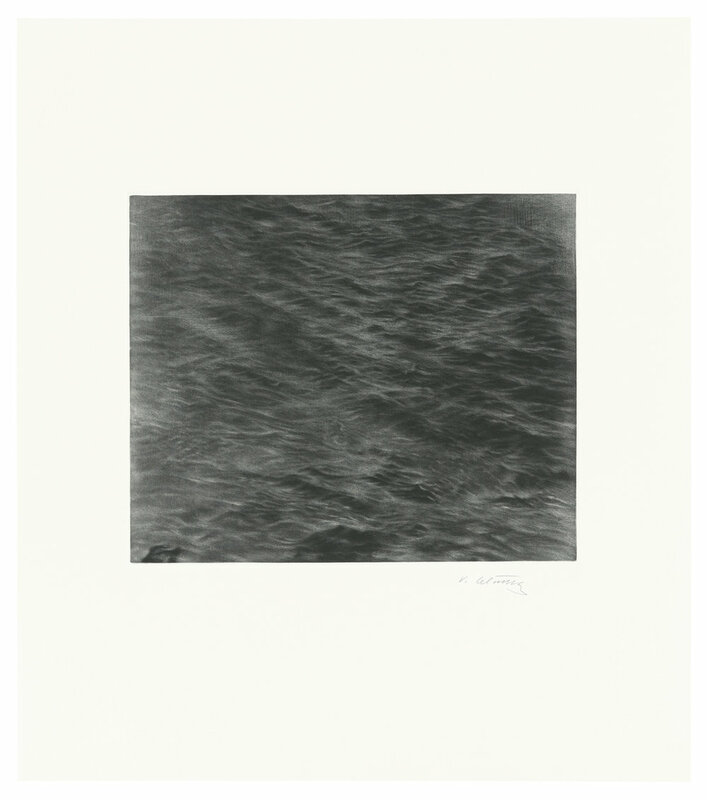 Senior & Shopmaker is pleased to present Vija Celmins: Recent Prints, an exhibition of etchings in which the artist explores her enduring themes of night skies and ocean surfaces. Produced over a three-year period with Celmins’ longtime collaborator, master printer Doris Simmelink, the prints, with their careful exploration of process and mark-making, are among her most masterful to date. In its most traditional sense, printmaking is a vehicle for monochromatic image making and therefore ideally suited to Celmins’ work. Since the 1970s, her body of prints has evolved naturally from her virtuoso drawing skill and found form through diverse printmaking techniques including mezzotint, etching, and aquatint. 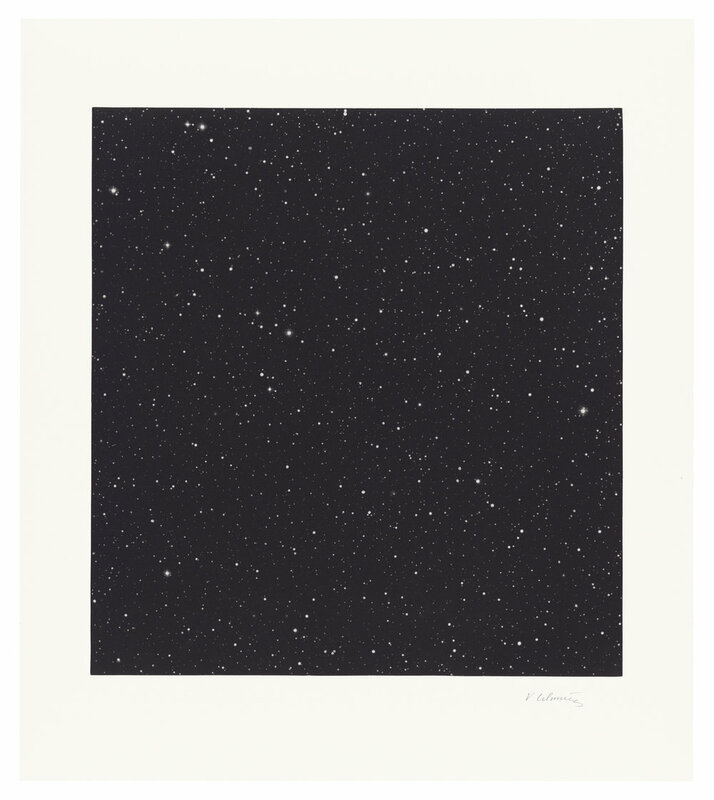 The primary subject of Celmins’ new prints, a horizon-less night sky, is rendered in mezzotint surfaces that range from velvety blacks to filmy grays, peppered by stars so varied in shape, number, and luminosity they demand slow examination. Simultaneously expansive and intimate, Celmins’ subject matter is an armature on which to build variation. 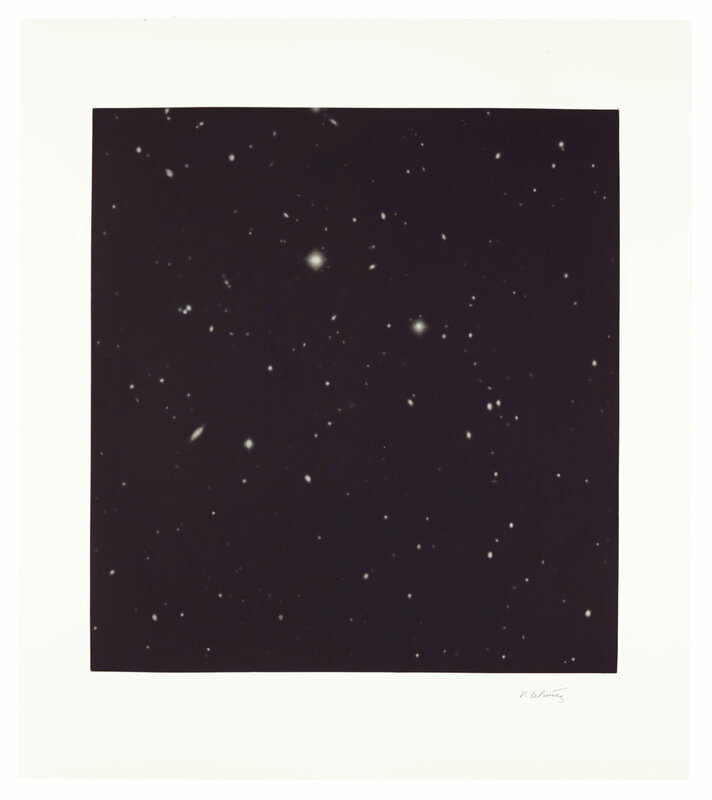 Vija Celmins: Recent Prints features a series of five night sky images that share the same plate and sheet size alongside artist’s most ambitiously-scaled print to date, Untitled (Large Night Sky). 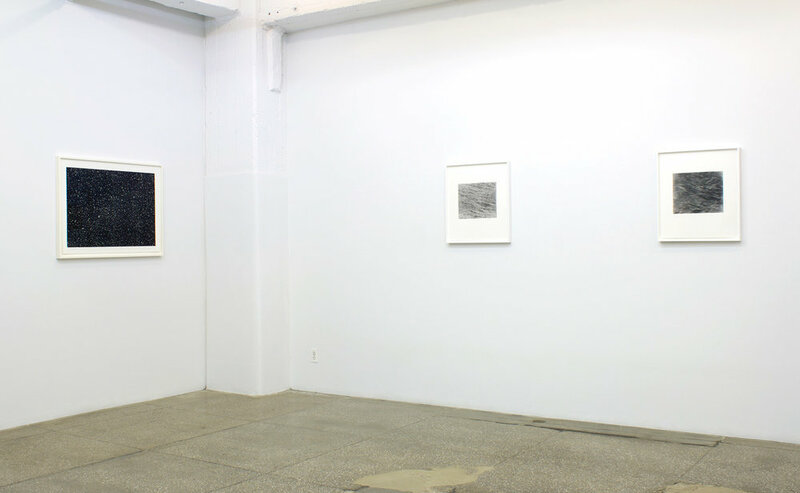 Two additional ocean surface images represent a notable technical departure: In Untitled (Ocean Drypoint), the image is entirely constructed of tiny lines rather than tonalities, and in Untitled (Ocean Mezzotint), waves are expressionist and blurred, implying movement over stillness. Vija Celmins was born in Riga, Latvia in 1938 and immigrated to the United States with her family in 1948. She received her MFA from UCLA in 1965 and moved to New York in 1980. She has been the subject of numerous international museum exhibitions, including a solo drawing show at the Museum für Gegenwartskunst, Basel, in 2001, and a print retrospective at The Metropolitan Museum of Art in 2002. The Centre Pompidou, Paris, organized a drawing retrospective in 2006, which traveled to the Hammer Museum, Los Angeles, in 2007. In recent years, Celmins has been the subject of solo exhibitions at the Menil Collection, Houston, Texas (2010); the Ludwig Museum, Cologne, Germany (2011); the Saint Louis Art Museum (2014); and Secession, Vienna, Austria (2015). A retrospective of the artist’s paintings, drawings, objects and prints, Vija Celmins: To Fix the Image in Memory will open at the San Francisco Museum of Modern Art in December 2018.